I have used Night of Navy CS and ink, Springtime Vintage DSP, Baja Breeze cardstock and Seam Binding Ribbon, Very Vanilla and Pear Pizzazz CS, Scalloped Trim Border Punch, small Heart punch, Itty Bitty Shapes Punch, Two Step Bird Punch, Boho Blossoms Punch, Basic Rhinestones & Basic Pearls. The sentiment is from the Level 3 Hostess set Occasional Quotes - I'm going to miss this one ! Sometimes it is nice to be creative in other ways than making a card. For todays project I have covered a sketch book. I've used masculine colours and kept the embellishment to a minimum just to show a well made project can be kept simple and it's simplicity is what appeals to the person who receives it. Leave me a comment and let me know what you think ;) ! All the products used to cover this book are by Stampin' Up and inclue Night of Navy DSP and 1 1/4" Striped Grosgrain Ribbon. The word "notes" was die cut from Timeless Type Junior Alphabet available from Stampin' Up. Please don't hesitate to contact me if you want further information on my classes or if you are interested in purchasing Stampin' Up products. I've used one of my favourite Christmas Stampin' Up stamp sets, Welcome Christmas. I have done very little matting and layering on this card, instead of mats I've used a sponge and sponged the edges of the Crumb Cake card stock with Crumb Cake ink to highlight. I have used DSP from Jolly Holiday once again and a few Stampin' Up Basic Pearls to finish off this card. You can order this Stamp set along with any other Stampin' Up products from me, if I've inspired you, all you need to do is to email me, you will find my email address on the sidebar of my blog. Happy crafting and thank you for visiting my blog. I've been avoiding it but with the craft challenges out there that I want to take part in, I have decided I really need to settle down to making my challenge cards with Christmas in mind. If I continue to avoid Christmas, I know it will creep up on me and I'll be in a major panic in a month or twos time! I have used all Stampin' Up supplies apart from the peice of lace. Delightful Decorations stamp set, Jolly Holiday DSP, Cherry Cobler ink and cardstock, Crumb Cake card stock and Swirls Scribbles Sizzlits die. All these products are available to order from me, along with any other supplies you would like to purchase from the Stampin' Up Idea's Book and Catalogue. I have just found another challenge that I quite fancied joining. It's called the Clean & Simple Stamping challenge blog. Every week or two they give you a layout to use as a starter for your project. This week they have joined forces with CAS-ual Fridays so I can enter the same card twice, how fab is that? The challenge is so simple, I knew it wasn't going to take me more than a few minutes to come up with something. It couldn't have been easier. I used Crumb Cake card stock for the base, which I stamped with a snowflake image from Serene Snowflakes in Whisper White Stampin' Up Craft Ink, along with Very Vanilla Cardstock and Ribbon, Cherry Cobler card stock and Ink and the beautiful Christmas Bauble is from Delightful Decorations, rested upon a piece of Jolly Holiday DSP. Just a very quick post, but another one at least to keep you going for now. 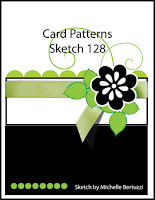 I'm a top 3 winner of the Simply Stampin' Challenge for last week, that must be beginners luck! I hadn't entered challenges before and the first time I do I'm a winner! Thanks to everyone at the Simply Stampin' challenge blog for choosing me, I'm chuffed! As I'm on a roll, as it were, I thought I'd enter again this week. It is so much fun to follow a challenge and easy as you don't have to sit and think too much about what you are going to do as the challenge directs you. I have spent less time thinking about what to use and more time crafting for a change! .......its another simple card and the first time I've used my Baby Blossoms Stampin' Up stamp set. I used the inks as mentioned above. The main part of the flower is the second impression of Pacific Point, as is the centre oval of Pretty in Pink. The sentiment is from the Level 3 hostess set Occasional Quotes. I hope you like it, have a crafty day........I'm off for a long walk today, got to use some of the calories I consumed yesterday! Just a quick post from me today to show you a Pinwheel card. I was surfing this morning and found this video on how to make a Pinwheel. I still have all my supplies out from making the whole Blueberry Crisp collection so I decided to add to that collection this little Pinwheel card. .....very easy and sweet, I thought. I've used all Stampin' Up supplies apart from the cocktail stick! Hope you find time to craft this weekend....have a good one. I found a bit of left over toilet paper paper I'd made for my butterflies and decided to see if our Stampin' Up punches would punch through it and they did! I think for this you must make sure the paper is very dry, leave it overnight, if you try and punch it when damp, I feel you might just ruin your punch, so be careful. The base is two Scallop circles cut out of Crumb Cake Card Stock. I scored the top circle at the top about half and inch down and stuck it with redline tape to the bottom scallop circle. I then die cut another, smaller scalloped circle out of Crumb Cake DSP, which I stamped with Soft Suede Ink to make the background a little more interesting. I then added the punched Toilet Paper Flower to the card with a sentiment and finished it off with another of my Toilet Paper butterflies. Bliss, Clearly for You and En Francais. Word Window, Boho Blossoms and Beautiful Wings Embosslits. I really needed to do some housework today but my mojo has definitely taken over today. Earlier this morning I saw that my friend France had made the most beautiful tag, with the theme "Indian Summer" in mind, for the "Use it Tuesday" challenge blog. I thought then that I could come up with something using one of my other favourite packs of Stampin' Up Speciality DSP, Sweet & Sour. But then the thought dissappeared and as I don't usually get time to make cards for challenges, I suppose I thought I wouldn't manage it and continued to think about my cleaning! Lets hope the weather will hold out for the day of their wedding and let that Indian Summer theme continue for them. Hope you have enjoyed another post from me today. I decided to use a stamp from the Fast and Fabulous Stampin' Up hostess set, hoping it would be a fast and fabulous project! I've also used paper from Blueberry Crisp again (what a surprise! ), Not Quite Navy ink and brad and Sahara Sand Card Stock. The sentiment came from Stampin' Up So Happy For You. Debbie card is now up on the site and if you click on her name above you will be able to see her pretty creation. I still have another project waiting in the queue that you can see tomorrow and I'm about to enter another challenge......I'm hooked, watch this space! I am rather pleased with them, I think the co-ordination of Stampin' Up products comes to life when you see a display like this. On display is a Double Accordian Mini Album, a Hard Backed Mini Book filled with uplifting quotes, a Mini Magazine Holder with cards to match and a Double Pillow Box gift box. I made the Hard Backed Mini Album from scratch using book binding techniques, with my friend Maria Adams last week. We both made one, I hope she will put hers on her blog soon. Supplies used were mostly Stampin' Up, the little flowers on my hard backed mini book were from my old stash. Cottage Garden for the flowers on the double accordian album, which I used the rock n' roll technique for and coated with Crystal Effects. I am now going to try and schedule a post for tomorrow with another little project I made in a few minutes this morning - I'm spoiling you all, enjoy! Happy crafting and hopefully you will check back tomorrow to see if my scheduled post works! After a couple of very busy days with friends visiting, crafty and non-crafty (yet to be converted - lol !!!) I spent the early part of the morning catching up on my emails and then did a bit of "surfing", as you do ! It wasn't long before I found this fabby video on YouTube. I set to immediately, to make it, it was really quick and easy, this is my first attempt using my favourite colour recently - Pacific Point. and 3 the same as this, using my favorite "blokey" stamp, Sail Away, which I stamped with Whisper White ink and embossed it with Stampin' Up's White embossing powder. The front of the box is finished off with my initial stamped with the retired Typeset Alphabet and the Four Frames image, which I have punched out using the Decorative Label Punch. Hope you like it. Please email me if you would like to order any of these or any other Stampin' Up product or wish to pop over to take a look at the catalogue and some of the other projects I have made. It's been a month.....I've had computer problems and my "tech" guy has been too busy to fix them! Eventually though after gentle persuasion, he worked very hard on my problems over the weekend and look.....I'm able to blog again! I have photographed the little "double" pillow box with a few of the clips from my stash of the 24 piece Clip Assortment from Stampin' Up. The ribbon is the 1-1/4" Striped Grosgrain ribbon in Rich Razzleberry. Both are available this month for free along with an exclusive Stampin' Up cosmetic bag, if you order £75 worth of Stampin' Up product or host a workshop with sales of £250. My lovely friend Debbie came over last night too and has posted really nice photographs and comments about last night. Please check out her blog for better piccies! Catch you all soon, enjoy this sunshine.